The online Fire Extinguisher Training is available on Canopy. Students, faculty and staff can find the course by searching for "fire extinguisher training" in the "Course Search" field, found under "Courses." The Department of Public Safety's Fire Prevention Unit can conduct hands-on fire extinguisher training. 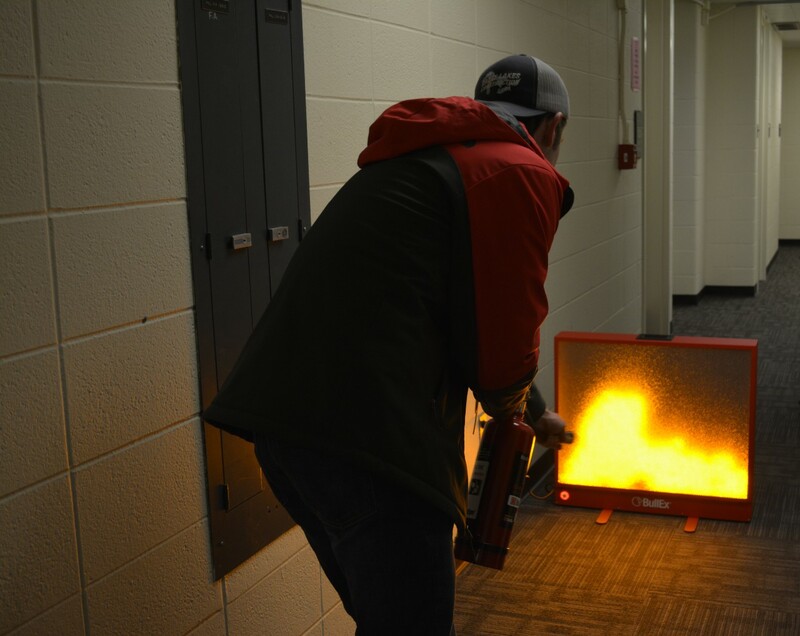 Faculty, students and staff that work where portable fire extinguishers are provided and those designated to use extinguishers to fight fires should go through training. Facilities Management Trades: Electricians, Plumbers, Carpenters, Welders, etc. Transportation: Gas pumps attendants and mechanics. Department of Athletics: Ushers and Facilities Trades Personnel. Public Safety: Police, Security Officers and Fire Inspectors. Residence Life: Facilities Trades Personnel, RC's and RA's. Any faculty, students, or staff members who are assigned to work or study in a laboratory using flammable and/or combustible liquids or chemicals for the purpose of research or instructional needs. This includes persons that work in chemical storage rooms or facilities. Food Services: All staff members who work in kitchens or cooking operations where commercial cooking devices are utilized. Please contact the Fire Prevention Unit at 513-556-4992 or fireprev@ucmail.uc.edu to schedule a training.